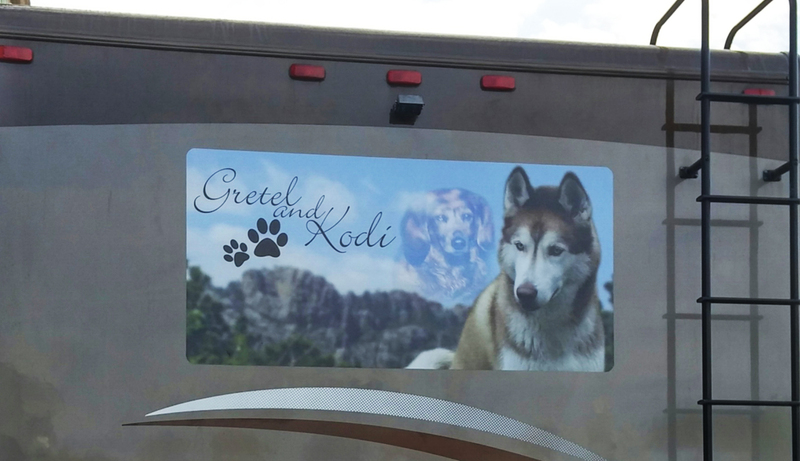 This was a custom memorial piece for very nice couple who had lost their dog, Gretel. All of the images used in this piece were photos given to us by the customer. All photos were used in the design! We also installed this piece on the back of their RV! If YOU are in need of custom graphics, that's our specialty! Stop in and get yours today! We'll even install them for you!